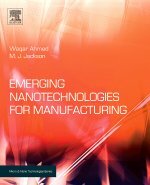 This book discusses the main issues on fabrication, design, and applications of micromachined resonant devices as well as techniques that are commonly used for processing the output signal of resonant micro-electro-mechanical systems (MEMS). Microfluidic Cell Culture Systems will cover materials, fabrications, device design, microfluidic systems for engineered tissue and in vitro microfluidic cell culture systems. Volume 2, Nanowires and Nanobelts of Functional Materials covers a wide range of materials systems, from functional oxides (such as ZnO, SnO2, and In2O3), structural ceramics (such as MgO, SiO2 and Al2O3), composite materials (such as Si-Ge, SiC- SiO2), to polymers. This volume focuses on the synthesis, properties and applications of nanowires and nanobelts based on functional materials. Novel devices and applications made from functional oxide nanowires and nanobelts will be presented first, showing their unique properties and applications. The majority of the text will be devoted to the synthesis and properties of nanowires and nanobelts of functional oxides. Finally, sulphide nanowires, composite nanowires and polymer nanowires will be covered.